Why did you decide to pursue nursing? I’ve been interested in healthcare since my earliest days and grew up watching shows like Rescue911 and ER, but I didn’t know exactly which direction I wanted to take. I wish I had an opportunity in high school to shadow various healthcare professionals to truly get an idea of what their day-to-day job entails. 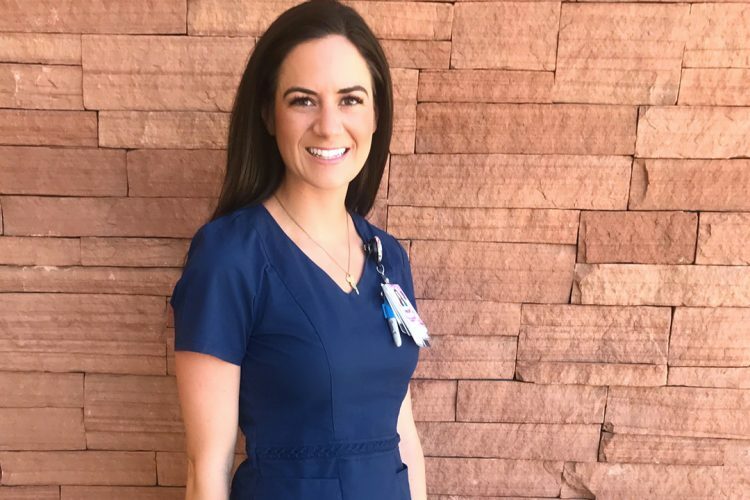 Initially, I was pre-pharmacy, but I realized how little patient care pharmacists truly get, so I switched my major to nursing after my first semester of college. I couldn’t be happier! Nursing is very broad and the opportunities for per diem jobs or various specialties in conjunction with your full-time job is pretty cool. 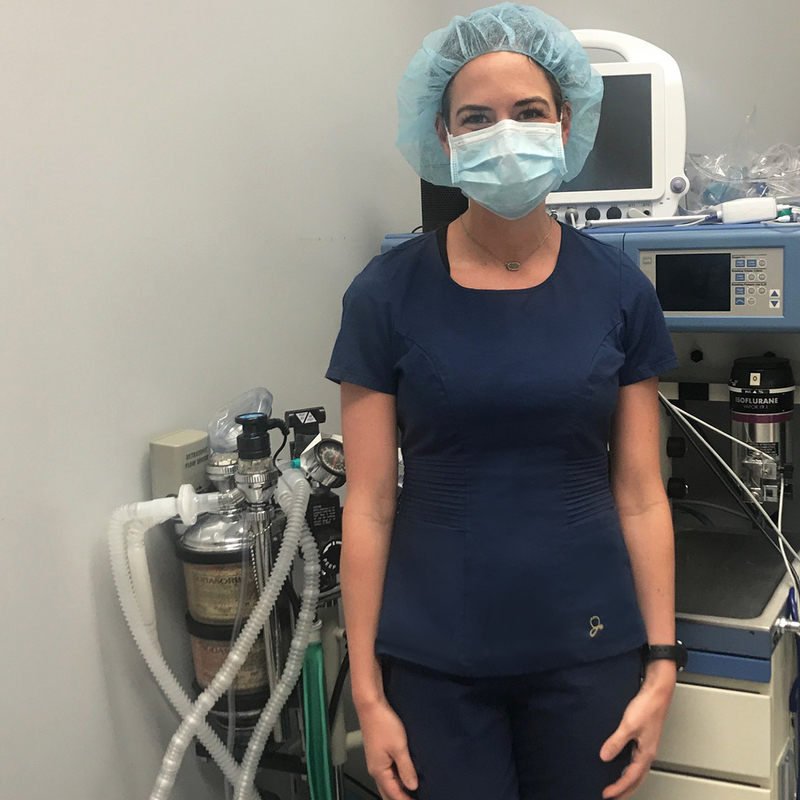 I work for a plastic surgeon in the operating room/PACU 3-4 days a month, which has enhanced my skill set in other areas. What is the most challenging aspect of being an ER Nurse? It can be hard to keep my composure when dealing with a critically ill patient in one room and a patient in another room who’s in a different state of mind. Trying to balance the needs of all of my patients simultaneously while keeping my professional composure can be very challenging. Patients often don’t understand that the needs of others may be more time-sensitive and that they may have to wait. Communicating is a huge key to success, though. What motivates you to keep going after a particularly difficult day at work? The smiles and words of praise from patients and families who truly appreciate our simple acts of kindness – which often go unmentioned – make it worth it. Dealing with patients and families during their darkest moments is very emotional. 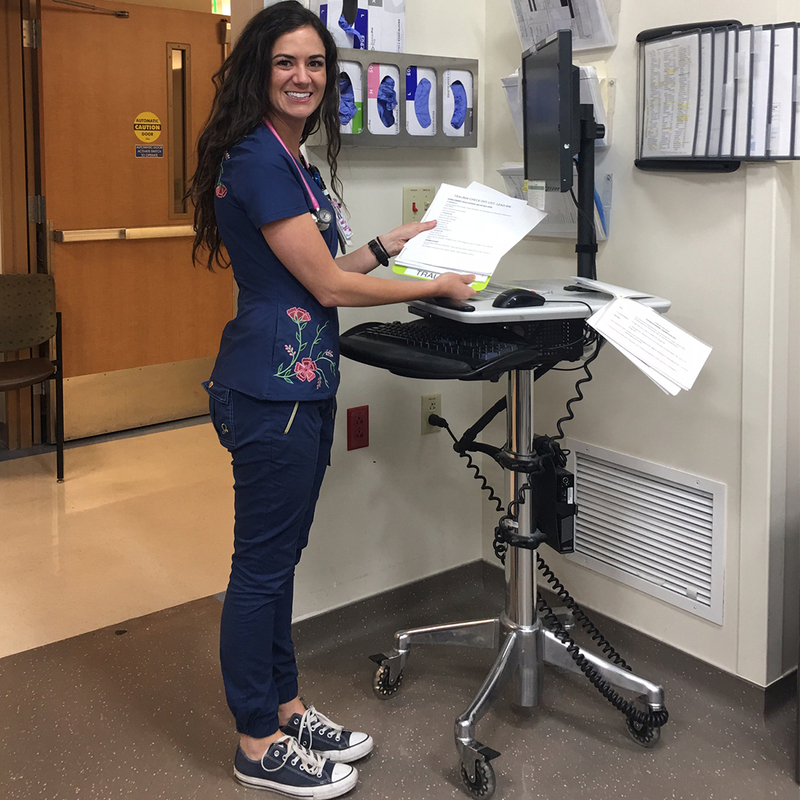 For an ER nurse, receiving gratitude is few and far between, but those moments are unforgettable. Receiving gratitude is few and far between, but those moments are unforgettable. Having an awesome team also helps turn difficult days around. I work with an amazing team of doctors, nurses, techs and all other sub-specialties who are all there for the same purpose of putting patients first. Having each other’s backs in stressful situations helps lighten the load and decrease the stress. We are all in this together! What advice do you have for someone starting out in the nursing field? Get into a field of nursing that intrigues you and challenges you. If you don’t initially get the unit you want, that’s okay! There are lessons that can be learned from every situation. Nursing is wonderful because there are so many different areas to explore. 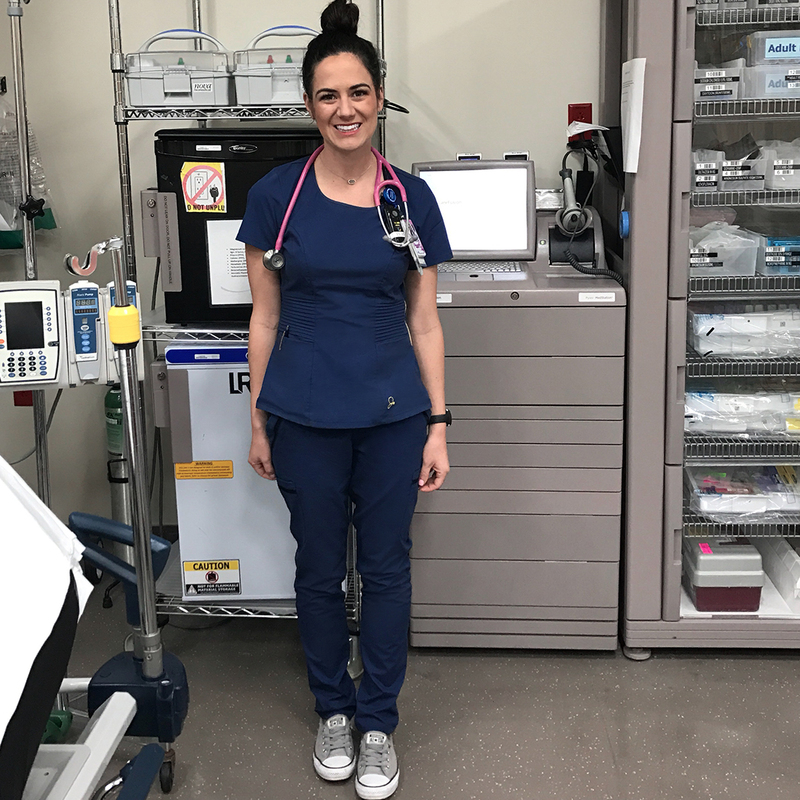 Whether you start in medical/surgical, obstetrics, ICU, telemetry, operating room or any specialty, there are skills to be gained from each area that will be invaluable to your career. I definitely gained time management skills and the ability to think critically starting as a new graduate nurse in a level-1 trauma center. Keeping your integrity and learning from those mistakes will make you a greater nurse. Also, keep in mind that everyone makes mistakes in the beginning. Keeping your integrity and learning from those mistakes will make you a greater nurse. What is your most memorable moment with a patient as an ER Nurse? I have many memorable patients! The ones who stand out are the ones who I have the ability to get to know, and they really touch my heart. Taking the time to actively listen and put yourself in their shoes is a beautiful thing. In a busy ER, I don’t always have time to stop and chat with patients and families. But when I do, I try to really get to know them – they’re not just patients, they’re people. Taking the time to actively listen and put yourself in their shoes is a beautiful thing. My mom is my superhero. Growing up, she worked full-time as a mechanical engineer. Despite her work commitments, she always put my brother and me first. She made us a wonderful homemade dinner every night and took the time to focus on our schoolwork. She never missed a track meet or an awards ceremony. To this day, she always has words of wisdom to help me make decisions in my career and in everyday life. She has an open door policy whether it’s listening to me cry after a difficult shift or cheering me on towards the next milestone in my career. She’s so selfless and always puts her family’s needs before her own. Thank you, Mom, for paving the path for me and supporting me every day in my challenging yet rewarding career! Have a question for Angela? Leave it in the comments below! We've built a thriving community of strong professionals. Follow us and stay up-to-date on the latest news and releases.